COLUMBUS, Ohio (WCMH) - Columbus City Attorney Zach Klein announced Thursday the city of Columbus secured an emergency court order to vacate and shut down Club Wadinasi. City officials say gunshots rang out at the club almost as frequently as the $10 shots were poured out. In the last six months, the Columbus Division of Police responded to multiple shootings and assaults at 2084 Mock Road. In one incident, officers arrived just in time to save a gunshot victim from bleeding to death by applying a tourniquet to his leg before paramedics arrived. In another shooting, no one called 911. Instead, the wounded victim was removed from the club by a bouncer and left outside. The property, which would contain as many as 150 to 200 patrons from 2 a.m. to 6 a.m., is close to residential housing and located within a half mile radius of an elementary school and several houses of worship. On June 24, 2018, Columbus police were dispatched to the premises at 3:43 a.m. on reports of an assault. Officers located a female victim who said she was struck in the face and robbed by another patron at Club Wadinasi. The notice declared the premises in violation of city zoning code due to its non-conformity with the approved site plan. Police officials also began a covert investigation of the premises around this time. On August 5, 2018, at 1:50 a.m., officers and paramedics responded to the premises and found an unconscious female passed out in the road in front of the club. Later that month, police obtained evidence that marijuana was being sold, along with $10 shots of Hennessey, from inside the premises. On Sept. 30, 2018, at 2:50 a.m., police responded to a report of a shooting. Officers found a victim who had been shot through the left thigh, wounded in the right leg, and had facial injuries. The victim was bleeding profusely and, according to court documents, would have died had the officer not arrived in time to apply a tourniquet. During the incident, officers observed between 150-200 patrons inside the premises. Then, on October 26, 2018 officers responded to a report of another assault at the premises. A female victim reported that she was punched in the face. A second victim indicated she was choked by the same suspect when trying to intervene to help the first victim. On Dec. 2, 2018, at 3:45 a.m., police responded to a report of multiple shots fired at the premises. More than 100 patrons were inside at the time. A victim was found with a gunshot wound in the leg. Officers recovered two guns under a pool table, along with live rounds and a glock magazine. One of the guns was reported as stolen. On February 23, 2019, at 3:40 a.m., shots were fired inside the premises, resulting in at least one person being shot in the leg. No one called 911, but instead, the victim was pulled from the club and left outside by a bouncer. On March 6, 2019, police responded to reports of four to five shots fired at the premises. 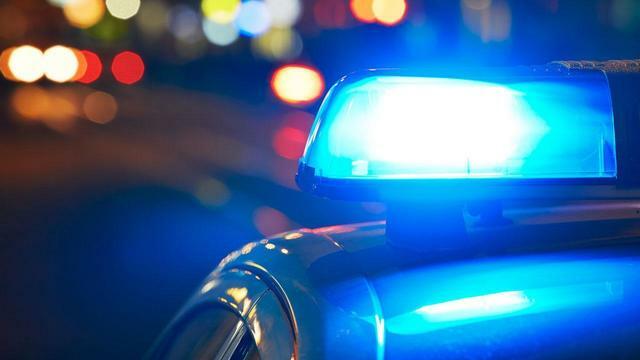 On March 9, 2019, at 2:50 a.m., approximately 10 shots were fired near the parking lot. A follow-up hearing for a preliminary and permanent injunction against the owners and operator is scheduled for 9 a.m. on March 22, 2019. At this hearing, the court can order the property to remain closed for up to one year.